Terry L. Mathews practices in the area of trusts and estates, mergers and acquisitions, and general corporate tax matters. Mr. Mathews received his Bachelor of Arts Degree from Swarthmore College in Philadelphia, Pennsylvania. He received a Juris Doctor Degree from Washington University in St. Louis, where he was a member of the Order of the Coif and Note Editor of the Washington University Law Quarterly. He is a frequent speaker before professional groups on estate planning and succession planning for small businesses. 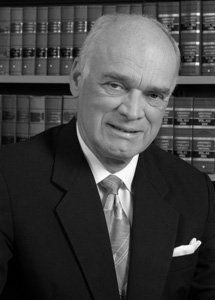 During his years of practice, Mr. Mathews has handled varied matters involving tax law including sales and purchases of businesses, corporate reorganizations, tax-free exchanges, reverse tax-free exchanges, multi-asset tax-free exchanges and numerous estate plans involving all aspects of estate and gift tax planning. Mr. Mathews is a Fellow of the Arkansas Bar Foundation. He is licensed to practice in Arkansas and Missouri.